Children’s dog tag necklaces that make great gifts from a Mom to a daughter or son. Ideas for children’s id tags for Disney travel. Medical alert necklace for children that have nut allergies. 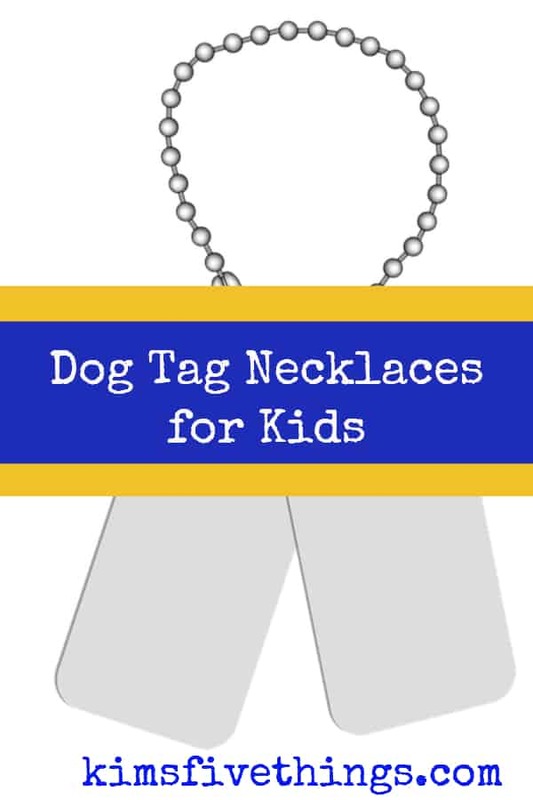 Here is a selection of adorable dog tag necklaces especially made for kids. I love the pendants for either a boy or a girl that come with the child’s initial. Dog tags can hold useful information like important contact numbers, allergy and medical condition information. Even Disney makes a child’s dog tag that features Mickey Mouse.